We're off again. On Tuesday 24th we will pack our bikes and leave for this year's summer tour. 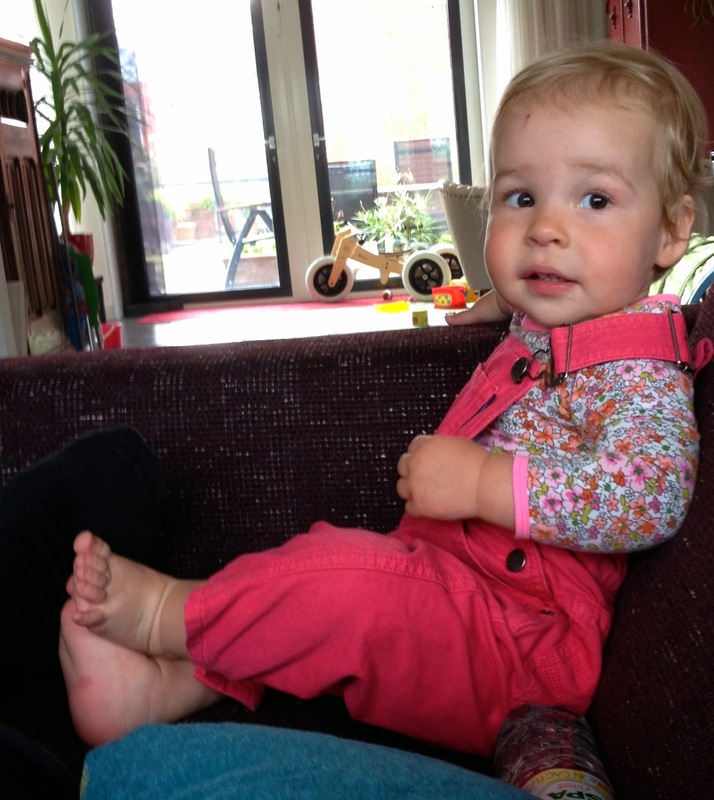 The first stage will bring us to Woerden, near Utrecht, where we will spend the next day with our little granddaughter. You know, these days both parents have to work hard for their living, and we as grand parents have to do our share. And we do it with joy, she is a lovely and funny little person. As you can see in the background of the photo, she already owns her own bike. Our present (of course!) for her first birthday a couple of months ago. 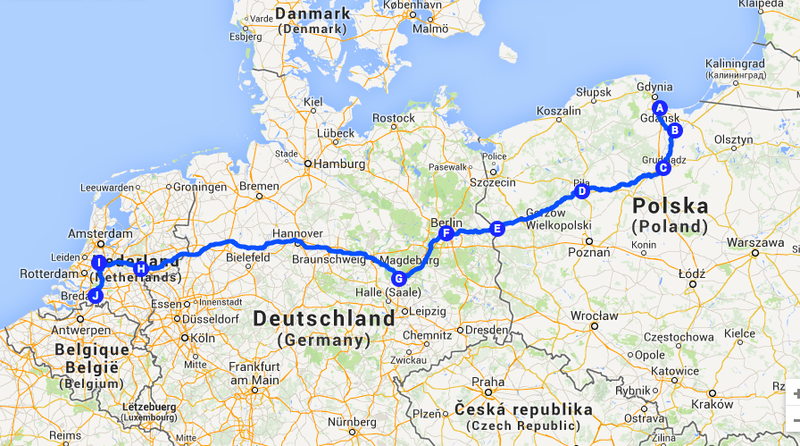 The very same night we'll travel by train to Gdansk, from where we will ride back to the Netherlands via Euroroute R1. Will be very easy to find our way, since this whole route is signed, all the way from Boulogne sur Mère in France to Leningrad, Russia. We will do part of it in the opposite direction. We will reach Woerden a month later, as the little girl will be waiting for us again on that day. After that it'll be Breda again.